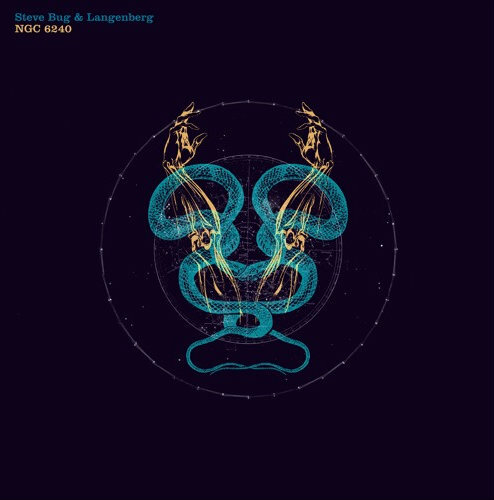 The second single from Steve Bug & Langenberg’s new project together serves up another reminder why both producers are held in such high regard: NGC 6240 - Track? !D. The second single from Steve Bug & Langenberg’s new project together serves up another reminder why both producers are held in such high regard. Steve Bug's (@stevebug) unwavering dedication to house music had brought forward yet another winning combination on his own Poker Flat Recordings label, this time with Langenberg (@langenberg) - himself a key part of the deep house vanguard in Europe. 'NGC 6240' is one of the harder edged tracks from the album 'Paradise Sold' - a techy, urgent work out with rising arpeggiated leads and sense of impending euphoria. Long time collaborator Tim Engelhardt (@timengelhardt) drops by to deliver a signature remix - taking the track in a deeper direction and opening up the arrangement to a trippy, tightly wound groove. The techno veteran Vince Watson (@vincewatson) also shares his vision for the track in another remix presented here - adding assistant claps and percussions and stretching out the drama over eight and half minutes.